Here you can find out GREAT resource for FREE download oracle related materials,oracle dba tips,technical papers,DBA interview questions,advance new Features of Oracle 9i,new features of Oracle 10g,new features of Oracle 11g,expert comments,Oracle scripts,Oracle DBA white papers,Oracle DBA materials,Hidden features,tricks,Undocumented stories,Undocumented features and many more. 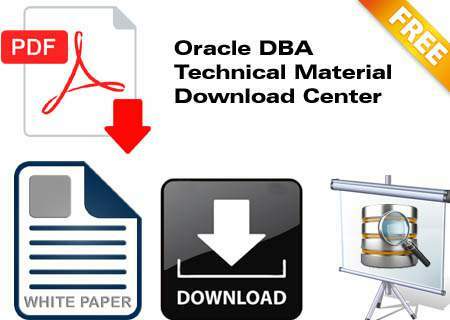 Apart from these download section, you can get lots of dba materials from other sites because our senior Oracle DBAs are contributing lots stuff online portals and Oracle DBA forums. 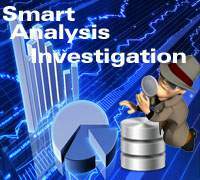 These presentations contain excellent graphical and sound effects for teaching depth of Oracle processes and physical structure fundamentals. It becomes very easy to understand conceptually basic of Oracle architecture and features for any student as Oracle DBA using these Presentation series and without instructor's based training. It clarifies imagination, Oracle process flow demonstrations and teach how component will be working in Oracle. 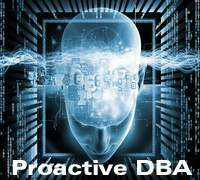 This great and excellent new concept will be helpful to every fresher DBA, intermediate DBA for gaining more and depth knowledge of Oracle structure. 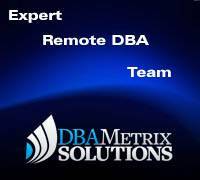 New presentations also available for expert remote DBA, which are covering Oracle internals and Advance DBA course ware like performance tuning, advance security, new features, automation etc. It is helpful to get better and depth knowledge of Oracle internals for improving technical ability. 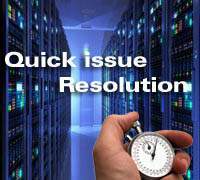 It is also helpful to resolve mysterious Oracle errors and troubleshooting for Expert remote DBA. Very useful articles and materials for remote database monitoring. Previously these resources could be downloaded by only registered member which contains FREE presentations, articles and scripts. Dbametrix disabled this registration process because we got so many requests for FREE registration. Now anybody can download these all free stuffs and improve knowledge base for his or her career of remote dba. This download center has 2 different sections for easily understanding to everybody. Those are following.. 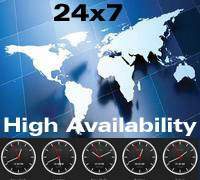 These all facilities and services are available for growing up career of remote dba services. 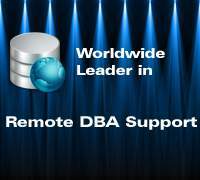 We want to make remote DBA stronger in fast track technology. You can keep updated yourself using our facebook page Dbametrix. Copyright Dbametrix Solutions © 2005. All Rights Reserved.